A friendly welcome awaits visitors and new members in our Clubhouse, with free Wi-Fi. The relaxed atmosphere is the ideal setting in which to unwind after a challenging 18 holes of golf. The main lounge and restaurant overlook the putting green to provide a lovely backdrop whilst The Captains Bar with oak panelling gives a traditional feel respecting the tradition of the club. An excellent Snooker Room is situated on the first floor. 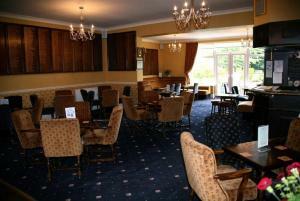 The first floor is also home to our newly renovated bar which overlooks the putting green and the 18th green. The bar provides you with a relaxed atmosphere to enjoy your pint of beer or cup of coffee. 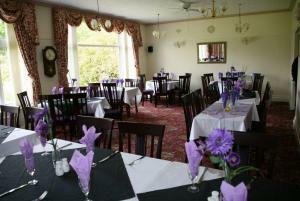 Runcorn Golf Club is a popular venue for celebrations, wedding receptions, christenings and gatherings of all sorts. The facilities provided by the lounge and restaurant are also available for social and business functions. Please find below a copy of our buffet menu and prices. A wide choice of Menus and packages are available from our reputable caterer and chef Sue. The Bar offers a selection of beer, cask beer and lager plus a wide selection of whiskeys and excellent wine list at competitive prices. 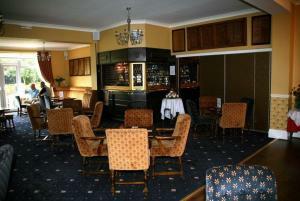 Runcorn Golf Club offers visitors who pay and play for the day all the facilities of a private members club, including the full use of the clubhouse.